Did you sleep well all winter? The photo at the top shows the branch of a sycamore tree that I can see looking out of my study window as I work at my desk, and it inspired me to write that little poem. 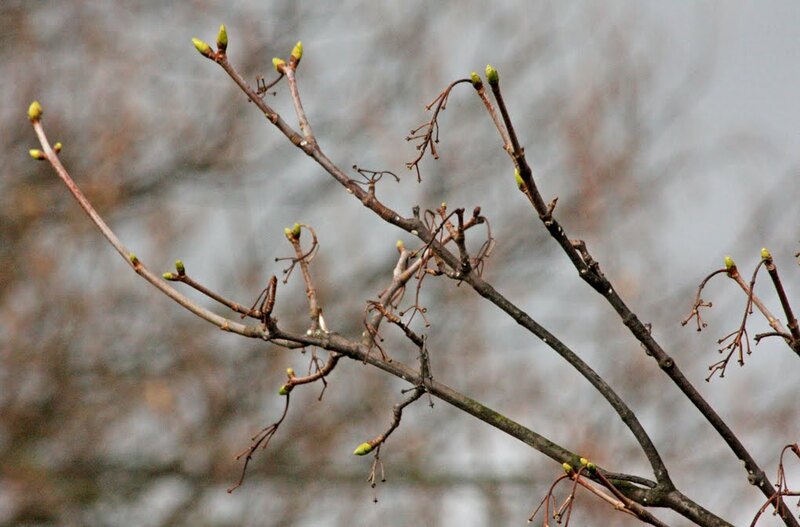 According to the BBC Science and Nature website, sycamore leaf buds aren't supposed to open until April. Guess spring is early in London.